If Hedsor House feels familiar then it’s hardly surprising. I’d never visited the Buckinghamshire country house, but as the taxi made its way up the flower-flanked driveway I had a distinct sense of déjà vu. Nearby Cliveden might be better known, but Hedsor House crops up in any number of films, TV series and music videos. Nicole Kidman strode through its elegant rooms in The Golden Compass; it served as a retirement home in Dustin Hoffman’s directorial debut Quartet; and it will feature in the upcoming Tom Hardy film about the Krays, Legend. Privately owned by the Shephard family, the house and its 100 acres of grounds have been used for filming since 2007, with events marketing kicking off a year later. Beaconsfield is only 22 minutes from London on a fast train. The journey was so quick that I was caught unawares and nearly missed my stop. But my cares quickly subsided as, after a short cab ride, I crunched up the gravel to the front door of this beautiful 19th-century Italian-style villa. 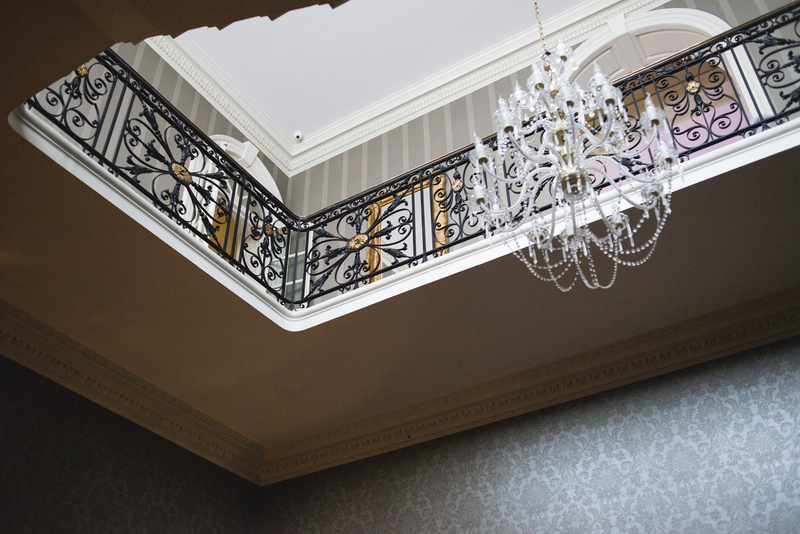 Inside, the mood is energetic, as the finishing touches are being put to Hedsor’s £1m investment. The first visitors are scheduled for the coming week, so it’s all hands on deck. Before now, guests have had to leave the venue at the end of the day, but with 10 bedrooms created on the previously neglected second floor of the house, events can continue into the next day. The styling of the rooms is a modern take on country-house chic, with light colours, simple furnishings and a scattering of floral cushions. It feels as if I’m in an elegant guest room of a family home. All rooms are en suite. The bathrooms have trendy metro tiling, and modern British toiletries courtesy of Floris. 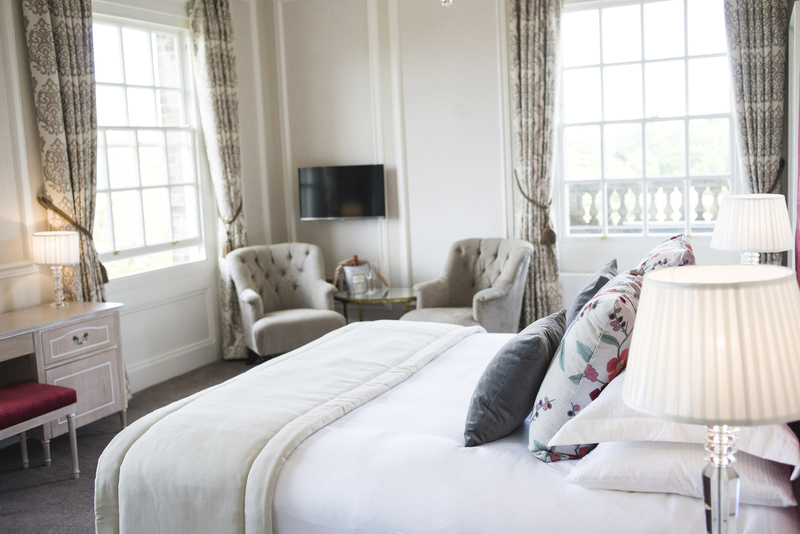 Four of the rooms are interconnecting pairs, while all have good views of the countryside through beautiful sash windows. 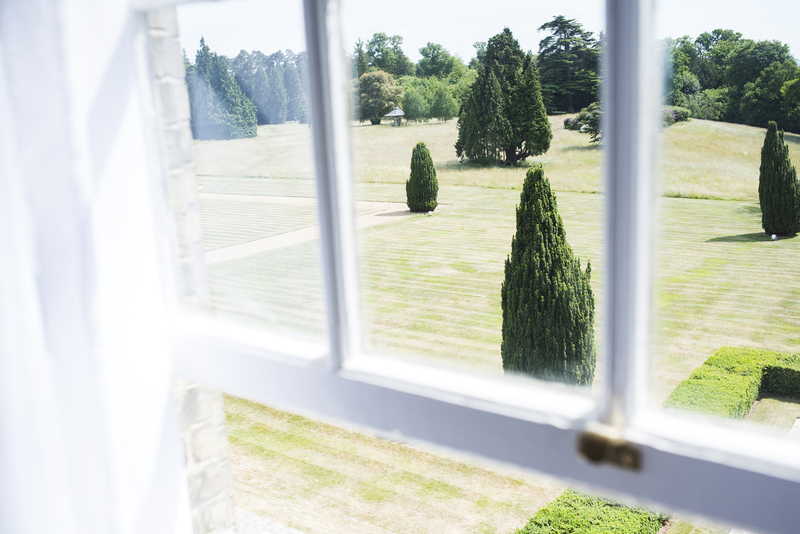 Sitting atop a hill, Hedsor House is surrounded by unspoilt countryside – I can barely spot another building, and a circling buzzard adds to the pleasure. The rooms are suited to weddings and family stays, and are part of a new pitch to corporate groups, according to Ally Potter, Hedsor’s marketing project manager. Just 15 miles from Heathrow, the house can now attract international clients looking for an exclusive-use retreat away from London. ‘Many big companies want privacy for their events, and they can have that here, as well as the ability to accommodate a senior team. 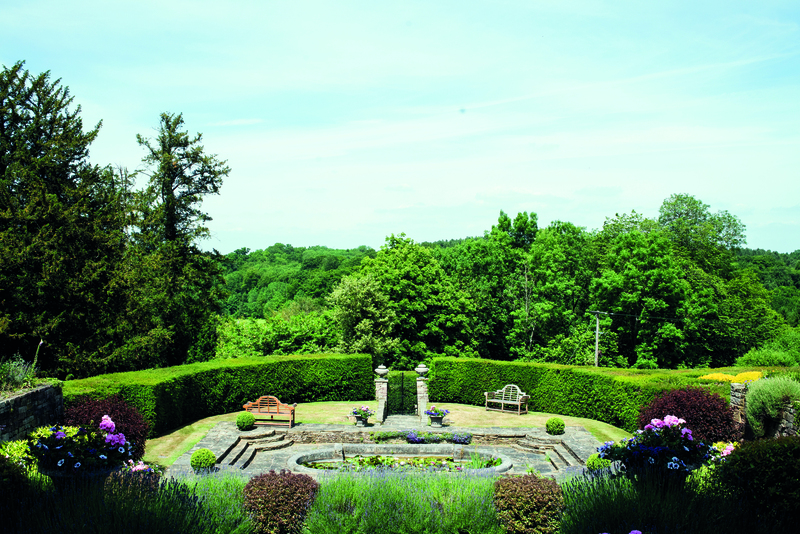 If you’re looking for a country estate, it’s difficult to find a venue of this calibre so close to London,’ says Ally. Besides these 10 rooms, the renovation has also created a massive suite of rooms stretching along the entire front first floor. Ostensibly the Bridal Suite, it comprises four rooms that are the perfect base for a board-level team gathering. With a stately bedroom, a huge onyx bathroom, a mirror room and a drawing room, there’s no doubt the occupant of this room is the top dog. Across the suite, there's space for 40-50 guests, so I can also picture a standing event working in here – a small product launch, perhaps. The main meeting spaces downstairs maintain the stately tone. 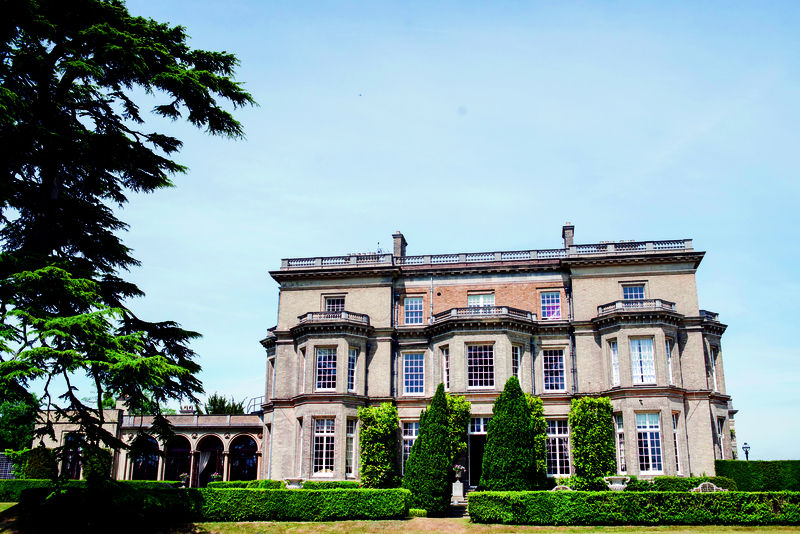 It’s easy to imagine the Earl of Grantham greeting you in any one of them, flanked by a couple of hounds – Hedsor has also featured in Downton Abbey. But unlike some period properties, it wears its history lightly. There’s a remarkably unstuffy atmosphere, which is a deliberate policy. ‘We like the organiser to think of the house as a blank canvas that they can use for their own ends,’ says Ally, who relates how they are constantly painting and repainting rooms to accommodate the specific demands of films and events. The team is busily transforming the building for a fundraiser when I visit, and I watch as an in-the-round cocktail bar is slotted into the galleried Centre Hall. This glass-domed central space lies directly behind the doors of the entrance hall and makes an instant impression. I can imagine it swirling with guests at a drinks reception, providing plenty of talking points to break the ice. The dome can be uplit or projected onto to great effect. Clients have also draped it with Chinese lanterns and parasols, while the gallery provides a great location to shoot unusual images of partying guests. 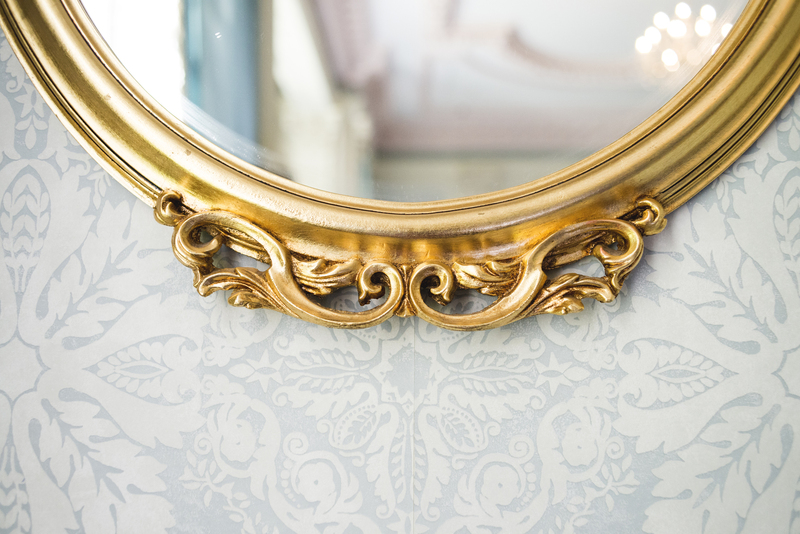 With its wood-panelled rooms and tasteful Regency parlours, Hedsor does classic English country chic seemingly without any effort. But with the right lighting and dressing, I think it can do funky too. Apparently, Mark Ronson celebrated his birthday here recently. He’s pretty cool. 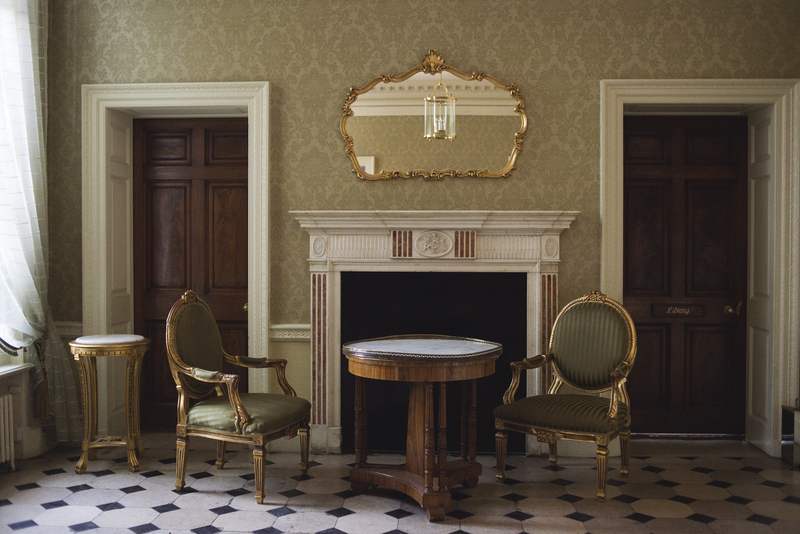 Either side of the Centre Hall are the Dining Room and Drawing Room, which mirror each other as part of Hedsor’s symmetrical layout. You could use them as breakout spaces at a conference, and either could serve as rooms for more intimate dinners. For something more sizeable, I’d opt for the Ballroom, a long room faced with oak panelling on one side and full-length windows on the other, offering access to Hedsor’s lovingly maintained gardens. The grounds are a major part of the offering, and French doors invite you to spill out onto its striped lawns. Towering cedars of Lebanon can be lit to dramatic effect, and have even served as the base for pop-up bars. Alfresco dining on the lawns is another option and on a summer evening in this setting, I can’t think of anything lovelier. 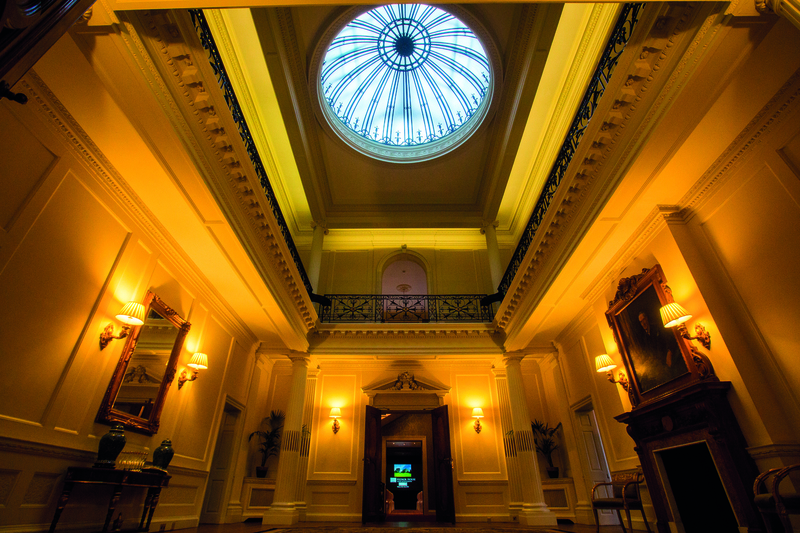 The centrepiece of the house, complete with an eye-catching glass ceiling dome and surrounding gallery. It’s ideal for receptions for up to 150 guests or dining for 60. This light sunny room accommodates conferences or breakouts of around 80. Afterwards, guests can spill out on to the venue’s striped lawns. 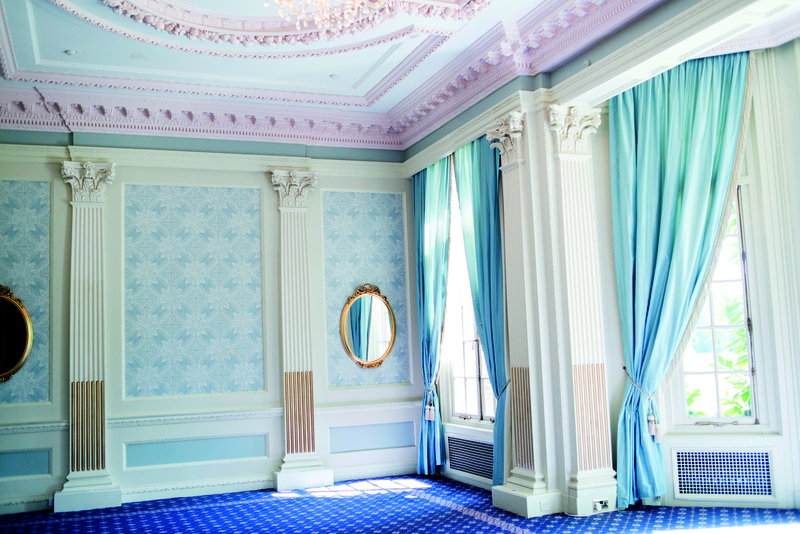 An extension of the Drawing Room, the Boudoir can be used as a syndicate room, a chill out space or for private dining. 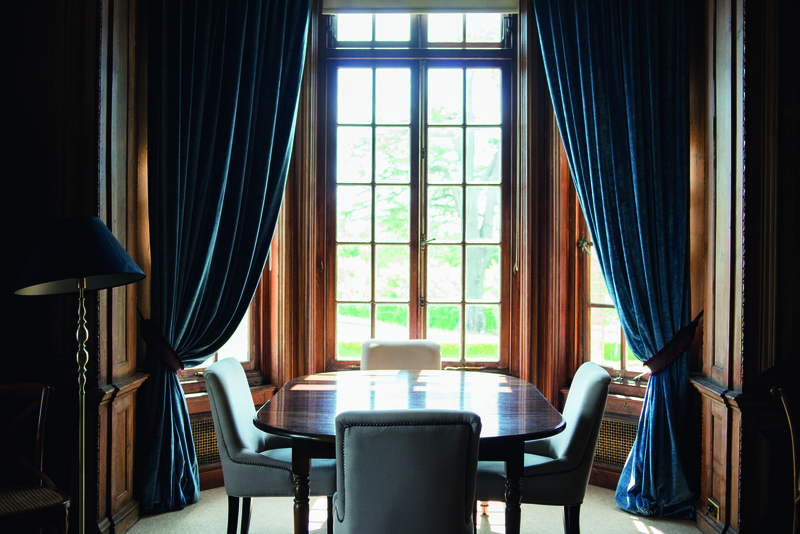 Hedsor’s biggest room (up to 180 seated guests) comes with ornate floor-to-ceiling windows and 150-year-old oak panelling on the surrounding walls. Overlooking – and with access to – the Grade II-listed sunken Dutch Gardens, the Dining Room can serve as a meeting room for 80 people. 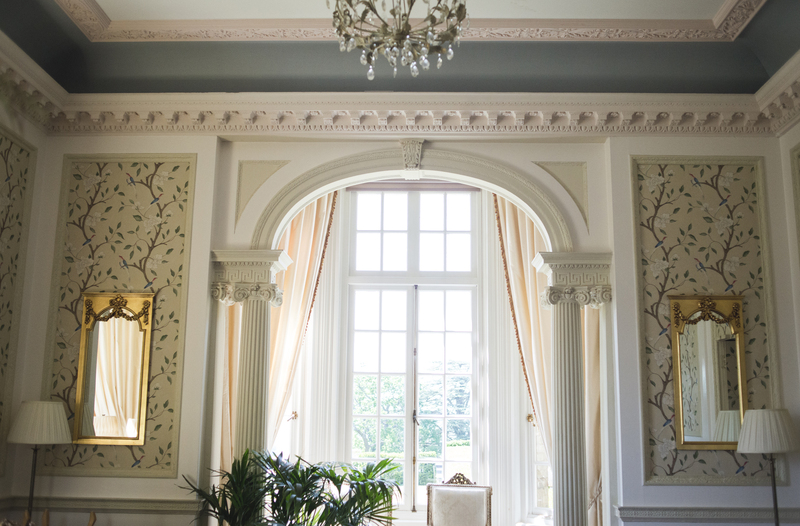 This suite of rooms typically serves weddings, but would be first choice for any CEO staying at Hedsor. The renovated 1920s bathroom features a huge, hand-painted rolltop bath. + The venue was designed by Sir William Chambers (architect of Somerset House) and completed in 1868. + The staircase has been used to double for that of Downing Street. + Topshop held a festival – complete with glamping – for 1,000 of its staff in the grounds. + Jaguar managed to get its XJ model into the Centre Hall by removing the engine and sliding it in on its side. + The Highland cattle grazing on the estate are pets, not livestock. + The ornate carpet in the Centre Hall was left over from the filming of The Golden Compass. + Hedsor recently launched its Land Rover Discovery 4x4 Challenge. A range of other outdoor activities, such as shooting and karting, can be arranged across its 100 acres.